Start making an impact on your dining experience! Menus are customized to individual restaurants’ requirements, starting with the names of the buttons, then the descriptions, and finally the languages spoken. With our convenient robust dietary software, Dietitians have the ability to make changes to patients’ dietary restrictions and have it upload directly to the assigned tablet. 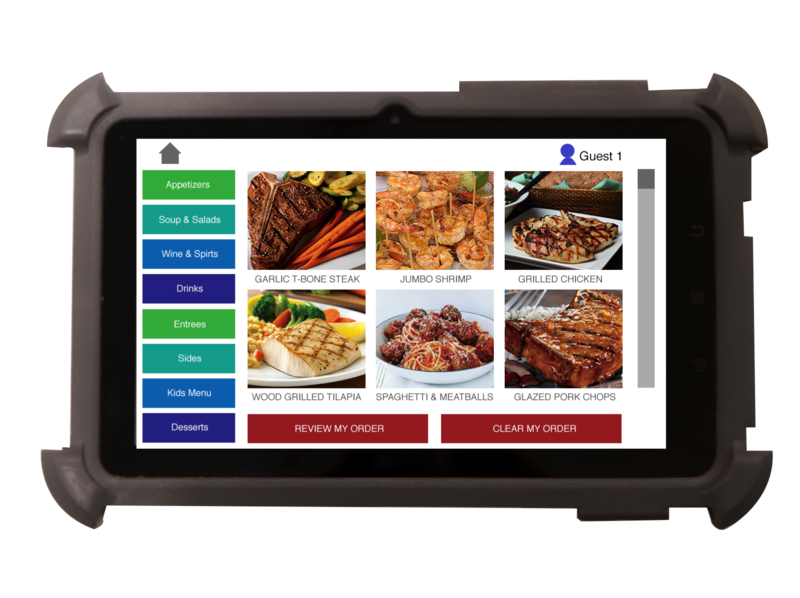 Whether your kitchen offers open dining, set dining times, or room service, guests will be able to place an order directly from their customized tablet and send it directly to the kitchen. Remove those language barriers! Our software allows your menu to be delivered in any language at any time. Menus That Talk™ does not discriminate. Not only does it cater to languages it also caters to the disabled. For all of your visually impaired patients/customers Menus That Talk™ has a tactile overlay so the customers or patients can feel independent. Save money on printing costs and go green. Think about how much your facility is spending on printing cost and about how those menus fill up landfills. Improve your customer or patient experience. Menus That Talk™ makes ordering food fun!